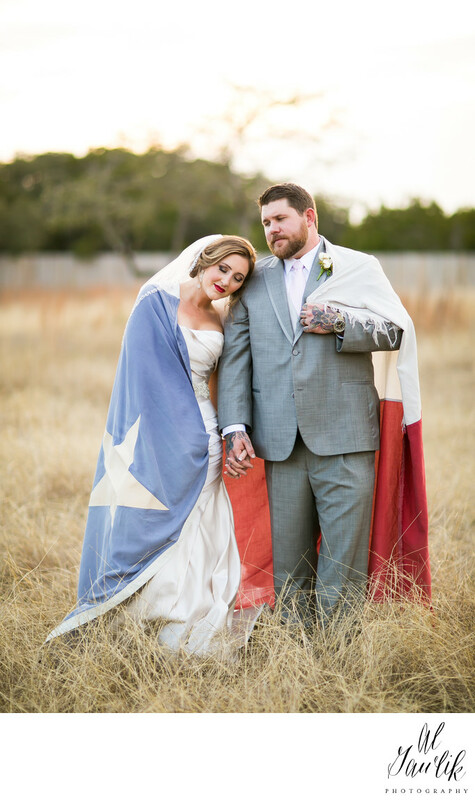 The Heritage Haus is part of three family owned venues in Dripping Springs, TX—a small town on the outskirts of Austin, TX that attracts people from miles around who are looking to hold an event or wedding. Dripping Springs is located at the southeastern edge of the Texas Hill Country and likewise promises stunning views and wonderful opportunities for photography. The premises resides on beautiful rolling hills covered in mature Oak trees, giving the perfect rural feel while also having the conveniences of modern hospitality. The venue includes indoor and outdoor options for ceremonies, and the Grace Chapel is a stunningly beautiful chapel framed in natural wood interiors and stained wooden pews. You can comfortably seat up to 180 guests in the chapel with room for 20 more to be able to stand in the rear and view your ceremony. For receptions, you have a couple of options that are sure to impress. The indoor Event Barn is lit with charming festoon fixtures, and also has an indoor bar outfitted with keg taps and a margarita machine. Guests can look forward to an elegant meal and then retreat to the deck to enjoy the company of family and friends. The outdoor pavilion is also designed to please and entertain those looking for an outdoor experience and comes complete with its own bar. Everyone wants to preserve the memories made on their special day, and with the attractive expanses and facilities about the venue you can be sure to accomplish just that—and in idyllic style. The gazebo and wandering pathways make for fabulous photography opportunities, and there is also an Airstream, (a favorite among professional photographers) onsite for you capture intimate portraits. With the private bride and grooms quarters, you can be sure you’ll be prepared and looking your best come time for your ceremony!